Cooking today is more than just a means to prepare delicious foodstuffs. 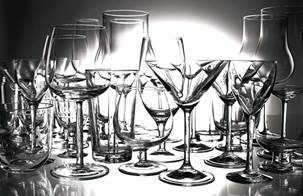 It has become an artform and entertainment with diverse applications for healthy eating options far removed from usual meal times around the table. Although traditions are savoured and Australians still appreciate family meals, life sometimes gets in the way, with work, school and social responsibilities all dictating a culinary change of direction. 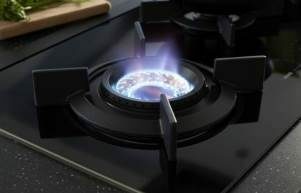 The ASKO HG1935AD Pro Series Gas Cooktop is synonymous with progressive dining options, including the Fusion Volcano wok burner that creates incredibly fast, healthy and mouth-watering dishes. 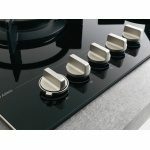 The ASKO HG1935AD Pro Series Gas Cooktop is just one outstanding ASKO cooktop performer, although the HG1935AD boasts a full 90cm of benchtop space; enough elbow room for the most adventurous of chefs. 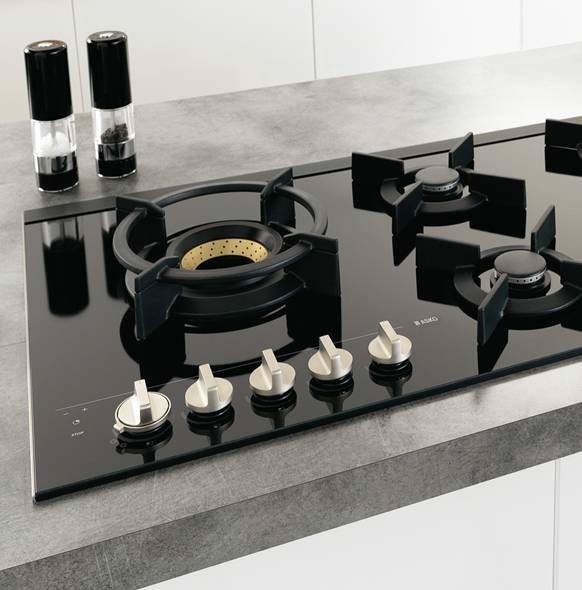 The sleek, minimalist design, courtesy of seamless integration with the countertop and high-quality black ceramic glass finish, is a major reason home and commercial chefs choose ASKO appliances, and that’s even before the automatic ignition device provides the targeted jets of intense gas flame. ASKO appliances are alluring, innovative and multi-functional, providing intelligent cooking solutions and delicious results. Why choose the HG1935AD Cooktop? 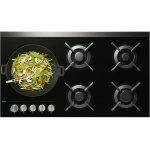 At 90cm wide, the ASKO HG1935AD Gas Cooktop is obviously suitable for people who love to cook for family and friends. 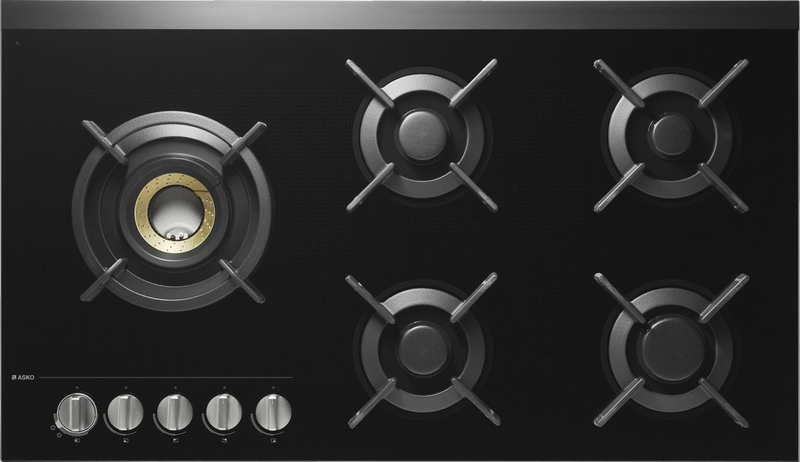 In addition, the HG1935AD Cooktop burners are individually constructed and controlled for stable use of cooking pots of all sizes. There’s also plenty of room for large wok-style cooking, with The Fusion Volcano wok burner a boon for men who prefer cooking over an open flame similar to BBQ-style cooking. 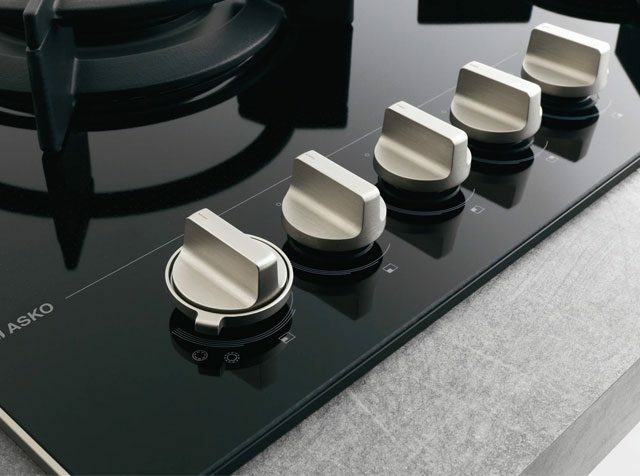 Naturally, the ASKO HG1935AD Cooktop can be coupled with compatible ASKO wall ovens, combi ovens, steam ovens, microwaves and other ASKO products for a comprehensive contemporary kitchen. 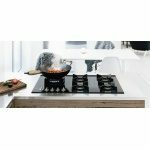 In fact, the ASKO HG1935AD Pro Series Gas Cooktop is deserving of its own countertop space showcasing the Volcano wok burner attributes. 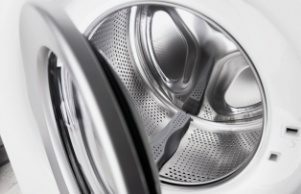 The ASKO reputation is built on customer satisfaction, so appliances are manufactured to stand the test of time and satisfy the intergenerational cuisine and dietary demands of Australians. A visit to any progressive kitchen showroom will reveal ASKO appliances showcasing cooking potential attainable in home kitchens. 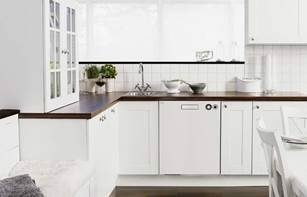 Appliance choices ultimately revolve around customer preferences, and with so many impressive products to choose from, ASKO users can create a functional, attractive and productive kitchen with ease. 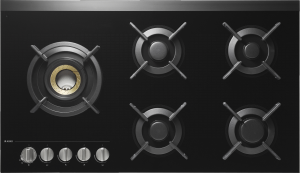 What standout features does the HG1935AD Cooktop have? 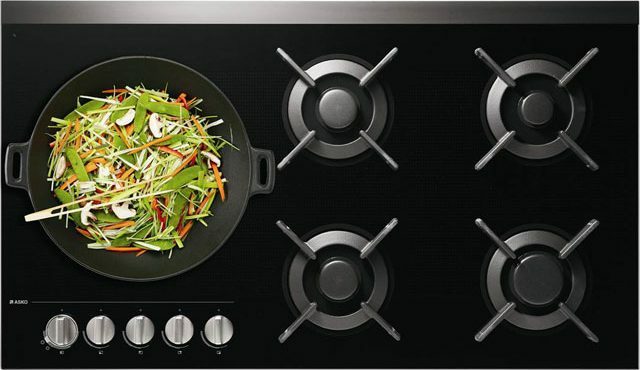 Why combine a wok-burner with a cooktop? It’s true that many Asian people cook a huge percentage of meals using a large wok and dedicated gas burner. Australians are also increasingly developing international cuisine styles, often combining the best of Eastern and Western traditions. 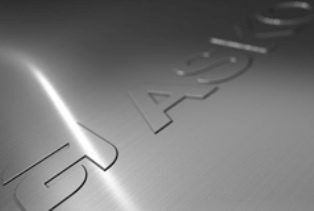 As tastes change, food preparation has evolved to keep pace, with the ASKO HG1935AD Pro Series Gas Cooktop an obvious favourite among consumers. Wok cooking is a great introduction to fast, healthy meal preparation, a particularly useful attribute in modern Australian homes where spare time is at a premium. 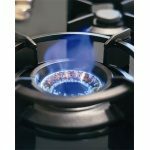 Each cooking zone on the HG1935AD has been specifically developed for achieving optimum heat for various sized pots and cooking vessels. 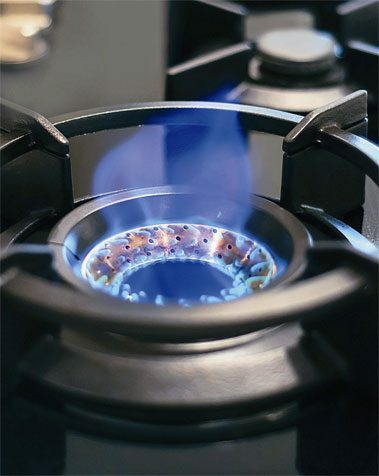 The incredible power of the Fusion Volcano wok burner gives plenty of indication just why the ASKO1935AD Gas Cooktop is so popular. Gas remains a favourite cooking power source with Australian consumers and our multicultural home chefs are reaping tasty rewards by developing wok-cooking skills on a par with the best restauranteurs. 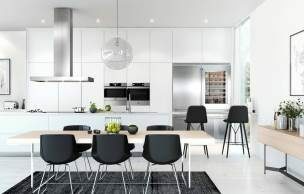 Media focus on cooking has grown incredibly in recent years, and ASKO developers continue to creative innovative appliances in keeping with contemporary kitchen expectations.